SELLER MOTIVATED !! !LOCATION AND ELEGANCE IN ONE impressive lower Riviera property. Experience the ever changing peaceful panoramic views of the ocean and the Riviera Mountains as you walk from one room to another. The Townhouse is airy and filled with natural light. The end unit has been tastefully renovated with wood kitchen cabinets and elegant quartz counter tops. Installation of a new refrigerator, stove and microwave. All toilets and vanities were replaced. 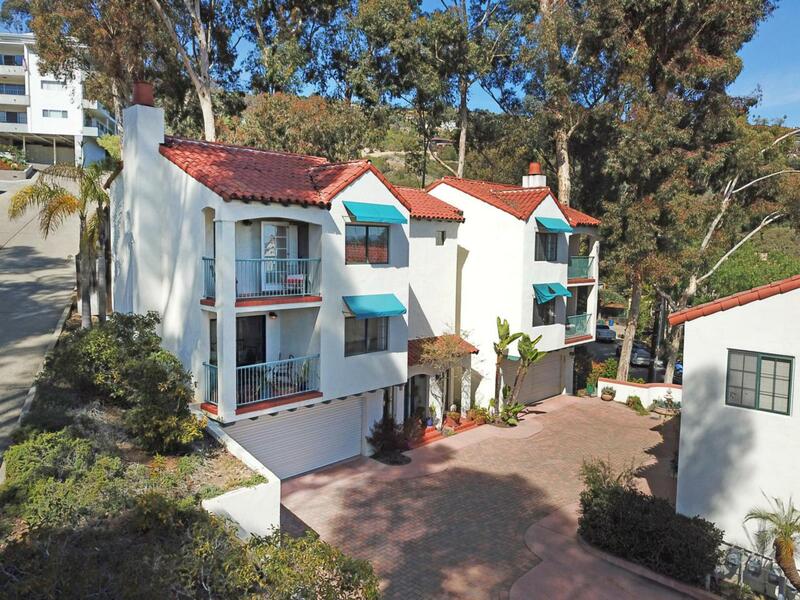 The property offers 2 master suites, loft, half bathroom, 2 spacious balconies, attached 2 car garage, private patio, lots of storage and approx 1500 sq of living space.Perfect as a second home or for someone who enjoys the Santa Barbara life style. Walking distance to downtown, restaurants, court house, theaters, shopping, and "rolling" distance to the Santa Barbara County Bowl. Listing provided courtesy of Sunterra Realty.